This news may be of interest to contributors to both BOINC and Folding@home. It is not the often-requested integration of Folding@home into the BOINC system, merely complementary work on both platforms. The project of interest is Rosetta@home, run by David Baker's laboratory at the University of Washington. R@h's goal is to predict the three-dimensional structure of the proteins it studies. The approach used is to test, by studying the energy of the molecular structures, the stability of various forms of the molecule, and predict which form is most likely to be stable. TJ Lane tells us that the Pande Group is using some of Rosetta@home's results as the basis for some Folding@home projects. Rosetta provides the most likely structure, but without further analysis it is not known for definite whether this is the form the molecule takes, or even if that form is viable. TJ's projects model the predicted forms in Gromacs and then test them through the Molecular Dynamics simulations that all Folding@home projects use, to attempt to verify Rosetta's results. Additionally, Folding@home's methods allow for additional information to be gathered at the atomic level, along with detail on the methods that allow the molecule to change from one form to another. Rosetta@home is therefore a starting point for TJ's research, focussing on those results most useful in relation to other Folding@home research. The projects referred to in this article are those in the 7600 series. The Pande Group have decided to reset the points system for bigadv projects due to their unexpected success since they were released. Up until now bigadv units have attracted a 50% bonus over the SMP units, to compensate for the bigger demands they make of donor's systems. The number of users choosing to fold bigadv units is an indicator of how successful the bonus has been, however the Pande Group feel that it is distorting the points system a little bit, and so the bonus will be reduced. This means that in future the bigadv bonus will be set at 20%, instead of 50%, for all work units (including previously released projects). Standard points is what the base points would be set at for regular SMP. Old bigadv is the previous base points, while new bigadv is the adjusted base points. Christian Schwan has just released some new projects, numbered 7800-7803. Projects 7800 and 7801 attempt to study any differences between protein folding as it occurs naturally in cells, and protein folding in test tubes. They simulate a peptide in the ribosome exit tunnel to explore how the confinement and other interactions within the tunnel affect the folding process. The two projects study different peptides. Projects 7802 and 7803 study the same peptides but without the ribosome. All four projects use the A4 core. They are available for Linux and Windows SMP clients v6.34+ and Linux and Windows uniprocessor v6+. All of these projects are served from the server at 171.64.65.98. TJ Lane, a new grad student working with the Pande Group, has released three new projects using the A4 core: p7600, p7610 and p7611. Project 7600 studies the folding of a knottin protein called EETI. This protein has been engineered so that it will bind to integrin proteins, which are found on the surface of cancerous cells. The EETI protein shows up on medical scans, so a cluster of EETI would indicate the presence of a tumor in the scan. The project aims to further understand how the protein works in order to aid development of similar proteins to target a variety of diseases. The project is available to all uniprocessor and SMP clients on Windows and Linux. It is served from the server at 171.64.65.101. Projects 7610 and 7611 study the FiP35 WW domain using very long trajectories from results from Shaw et al. (Science, 2010). These projects are intended to contrast the scientific methods used by Folding@home with more traditional methods, recently optimised by DE Shaw research. These projects are available to all uniprocessor and SMP clients on Windows and Linux, and are served from the server at 171.64.65.104. Badi Abdul-Wahid has released 29 new projects for Windows clients using the A4 core. Projects 7000-7028 study WW mutant models at high temperatures in extended and refined folding models. These units are served from the server at 129.74.85.15. These projects now use the QRB bonus system as indicated above. Michael Shirts has released a new series of projects, p3865-3867, which use a new core dubbed A6. This core is based on the a4 core, but has some additional scientific code which makes units requiring it incompatible with the a4 core. As the rest of the core is identical it is not expected that there will be any issues with this new core. This core is capable of running in both uniprocessor and SMP mode, but the latter will only work with v7 clients. 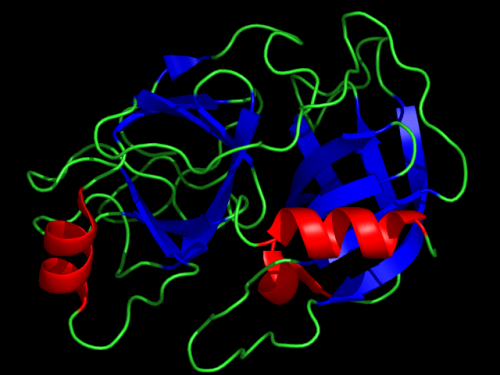 Projects 3865-3867 study the interaction of around 500 ligands with Trypsin, a digestive enzyme found in the pancreas used to digest proteins. It is often used as a standard when designing new drugs. These projects are just part of a challenge to design new drugs, which asked scientists to predict which molecules from an initially provided list were most likely to bind to the target protein. These projects are distributed to clients with -advmethods for now. It seems that the GPU2 client is considered to still have scientific value, despite the trend to move towards GPU3 and the v7 client. Owners of older cards which cannot run the newer cores will be pleased that Greg Bowman has released two new projects for the older core, namely p10122 and p10123. These two new projects are an extension of the study of ubiquitin. They use the nVidia variant of core 11, containing 1174 atoms and yielding 494 points. The preferred deadline is 2 days, with the final deadline a day later. They are served from the server at 171.64.65.71. Kyle Beauchamps has released a new project using the Gromacs 4 core: p10433. This project simulates the NTL9 protein in explicit solvent using the tip3p model, at 300K. This project is designed to complement the results of some GPU projects, which simulated the same protein but in implicit solvent. Project 10433 is distributed from the server at 171.64.65.80, is worth 425 points, and has a preferred deadline of 8 days with a final deadline of 16 days. This project uses the bonus system with a bonus factor of 0.7. Dan Vanetta has released several new projects concentrated on studying Vancomycin, a Glycopeptide class antibiotic, and the peptide to which it binds. Vancomycin is an antibiotic of last resort used to treat infections which are resistant to Methicillin, a penicillin used to treat non-resistant Staphylococcus aureus. 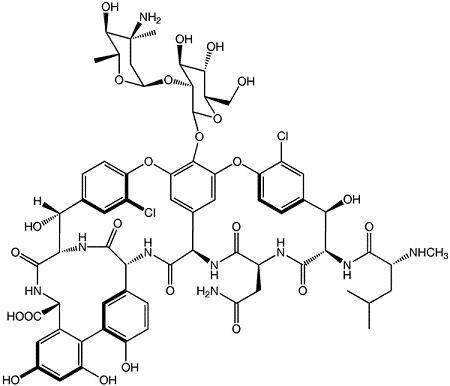 Recently, examples of Vancomycin resistance have been discovered, so these projects aim to study the method of resistance. These projects are distributed from the server at 171.67.108.42. Recently the Folding@home project has decided to make some changes to the way passkeys are handled in ordering the contributions of donors on the website, and in the flat text files used by third party stats sites. Passkeys are a relatively new part of Folding@home, as they were introduced with the v6 clients in 2007. They are used to tie contributions to an individual user, providing an extra level of identification beyond a simple username. The intention was to prevent people from cheating using your username. In order to ensure that the flat files match the website, changes were necessary to both. The issue is how to handle passkeys: the website stats currently ignore passkeys in order to speed up to the SQL count(*) command, while the flat files aggregate all passkey accounts into one donorname then orders by the aggregate points for that donorname. The proposal is to change the system to make each username+passkey combination count as a unique user in the stats system, on both the website and the flat files. This is the only method that meets the two goals of consistency between the website and the flat files, and keeping the speediness of the stats system. As revealing the entire passkey would rather miss the point of having a passkey at all, only the last two characters of the passkey will be published to permit differentiation between passkeys. The flat files will transition to the new format soon if they have not already, while a target date of May 1st has been set for the switchover on the web stats.